HomenewsHost FamilyGetting Prepared For Winter? Don’t’ Forget Winter Camp! Getting Prepared For Winter? Don’t’ Forget Winter Camp! As the temperatures are turning cooler here in Austin it reminds us to prepare ourselves for what is to come. Do you have your firewood for the cold winter nights? Here is a list of ten things USA Today suggests doing to prepare your home for the winter. At Premier Education, we’d like to suggest that you’d consider how you and your family could use your home for kingdom purposes this winter as well. 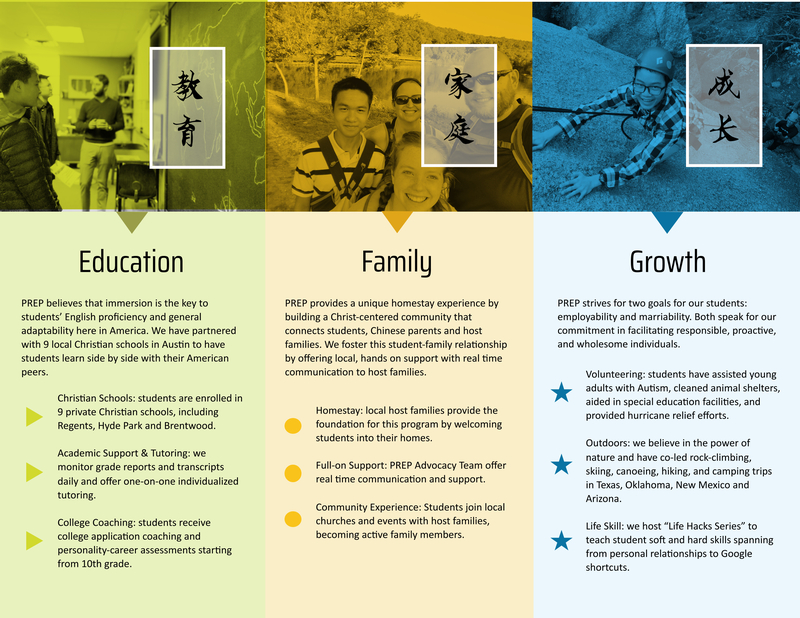 Every winter we host potential Chinese students in homes for them to be exposed to what it will be like to come and enroll as a student and study here in the future. 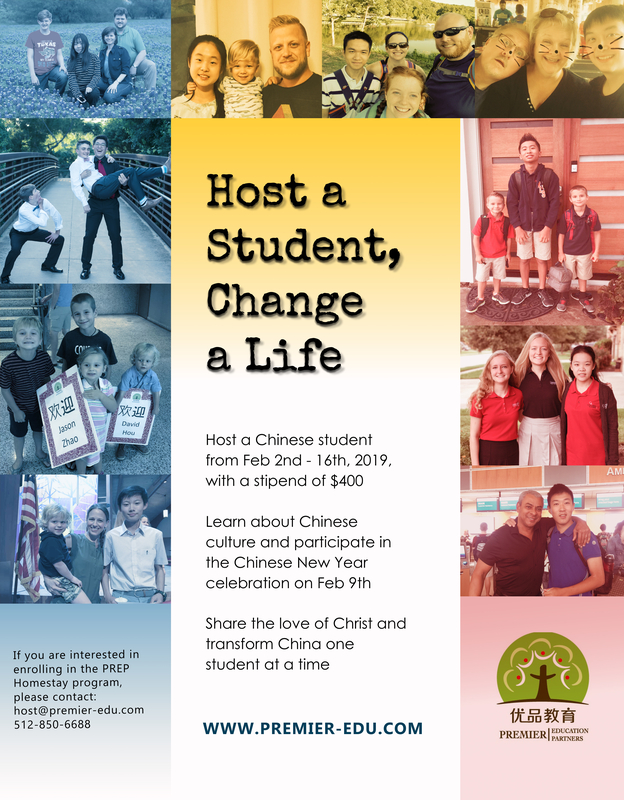 It’s a great opportunity for prospective students and for families who might be considering hosting a student for a yearlong commitment in the future. The commitment is minimal, but the impact is enormous. Here are the details you need to know as you consider hosting. If you’re intrigued about hosting, here’s what we’d ask you to do. Read the “Nuts and Bolts” and see if this commitment will work with your family’s schedule. You will be responsible for transportation to and from the school each day. The student will reside and eat with you during the duration of the camp. All students will have a medical insurance and you will have temporary guardianship to take them to see doctor if needed. 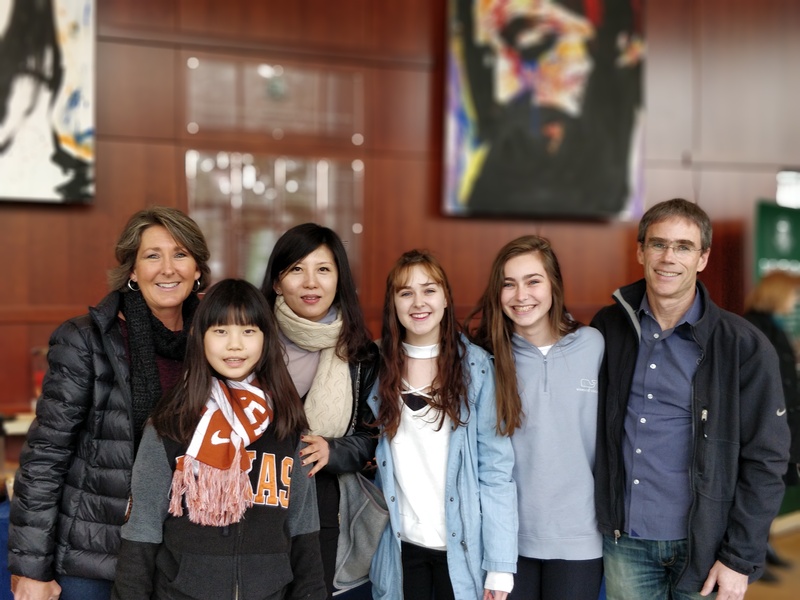 Premier looks for loving Christian families to host our prospective students, if the timing is not right for you this year, let us know if you know of someone else who may be interested in this type of ministry.